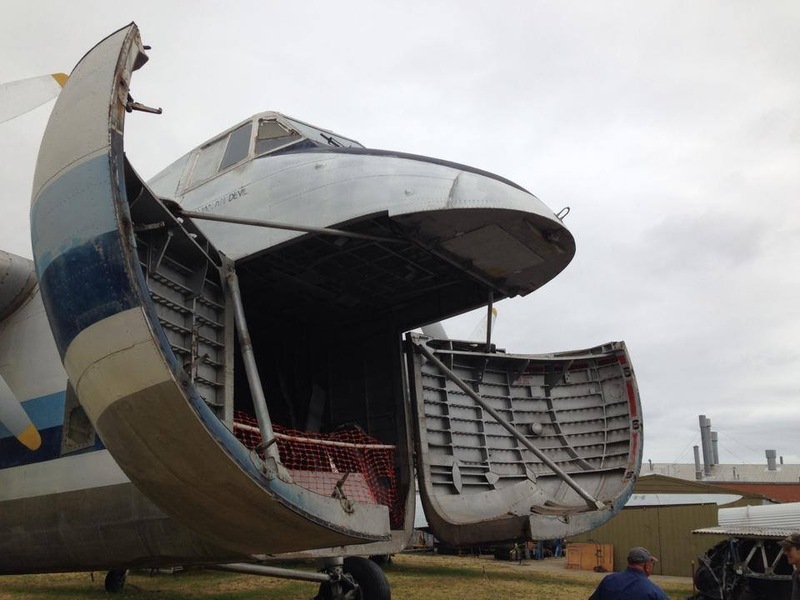 The Bristol Freighter was the first purpose-built civilian heavy freight aircraft to enter service in Australia, it featured large clam shell doors at the front of a large container-like fuselage allowing complete cars and other large loads to be carried. Designed by the Bristol Aeroplane Company at the end of World War 2, the prototype first flew on 2 December 1945, and when production ceased in 1958 a total of 214 had been built. Bristol Freighters saw military service with the RAF, RNZAF, and Pakistan Air Force. Civilian Freighters served with BEA and with many smaller airlines in the UK, Canada and New Zealand. In Australia the RAAF operated four Freighters (A81-1 to A81-4) in support of the Long Range Weapons Establishment in Woomera. These aircraft were received in 1949. The first civilian Freighter in Australia was a Mark 1A "Demonstrator" chartered to QANTAS and written off in New Guinea in 1947, and a second Mark 21 "Demonstrator" was leased to Australian National Airways in 1948 for assessment. This second aircraft with registration G-AICL was later acquired by ANA, and in 1949 with a new registration of VH-INJ became the first aircraft to land at the then under construction Moorabbin Airport when it encountered engine problems after takeoff from Essendon. Bristol Freighters played a major role in the development of air freight in Australia including the development of the Air Beef Scheme in WA. Bristol Freighters served with Ansett-ANA, TAA, IPEC and Air Express. The Museum's aircraft was built as a Mark 31M for the Pakistan Air Force and served as S4438 before being sold as AP-ADM and exported to Australia as VH-ADL in 1962, where in 1966 it played a major role in the first challenge of the Government's Two Airline Policy through charter to IPEC. Those operations saw it operate four nights a week from Archerfield Qld to Corowra on the NSW border with Victoria (where it was not permitted to cross the border) to allow its freight to be transported by trucks to Melbourne. VH-ADL went on to serve from 1968 to 1979 with Air Express on the Bass Straight run and cargo services between Queensland and New Guinea, VH-ADL flew the last Freighter operation in Australia on 17 August 1979, and was acquired by the Museum in 2004 following the closure and sale of the Wangaratta Airworld collection. 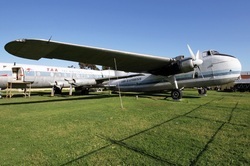 The Museum's Freighter is on display outdoors, and one of two complete Bristol Freighters remaining in Australia, and one of 12 remaining world wide.